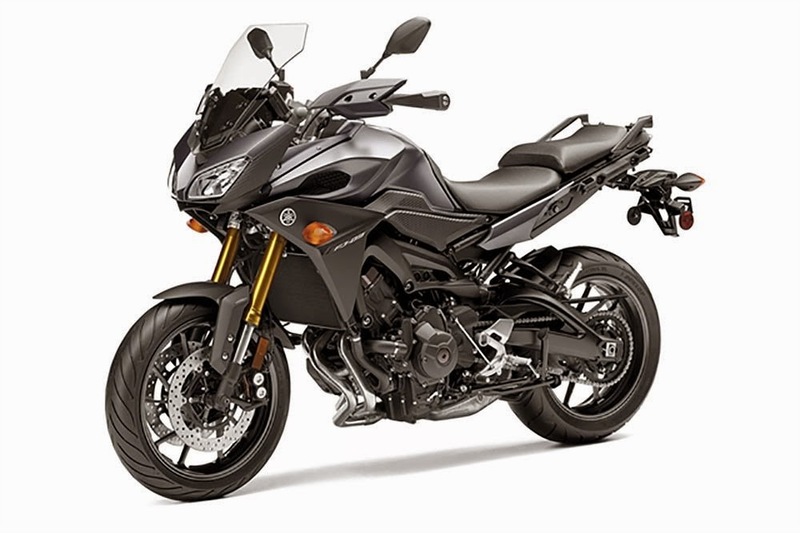 Related to the below post, Yamaha didn't debut the much-rumored FZ-09 based FJ-09 at InterMot, but the name has been trademarked in the US, and the below image was "leaked" on the internet (it may have been purposefully leaked.) The old Yamaha FJ series was among the first of what came to be known as sport-touring models, so it's nice to see the name reborn. Judging merely from images and anticipated specs, the FJ would be in keeping with the new trend of ADV-styled street-only bikes that are in reality the new "standards" or sport-tourers: upright ergos, stonkin' motors, near sportbike-like chassis and brakes, 17" wheels, and luggage capability. I'm very interested in this one, assuming Yamaha fixes the fueling glitches plaguing the FZ-09 and keeps the pricing reasonable as it has on the FZ-07 and -09. It's sure to be less expensive than the Honda CrossRunner given Honda's pricing strategy over the last few years. Some color would be nice, too, but wouldn't be a deal-breaker. Yamaha seems stuck on graphite/grey a lot lately. How 'bout a retro Yamaha Racing white with red laser stripe scheme?